Sanyo PLC-XT35 Projector Replacement assembly with Genuine OEM bulb inside. The assembly has a genuine OEM bulb inside, the bulb is produced by one of the industry's leading bulb manufacturers � Philips, Osram, Ushio or Phoenix. The OEM bulb is engineered to perform exactly to the exact projector manufacturer specifications and requirements. This high quality projector bulb for Sanyo PLC-XT35 projector will provide bright and high quality image that will last the test of time. 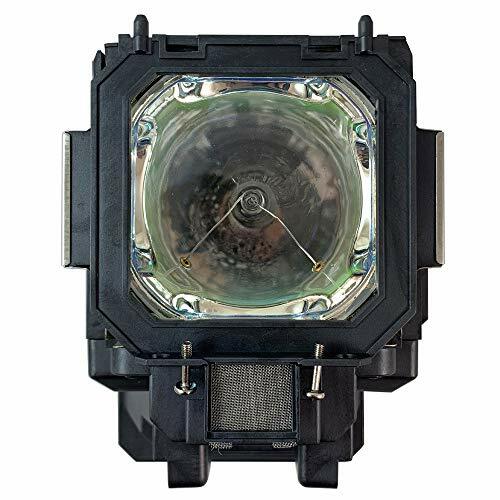 The Sanyo PLC-XT35 Replacement lamp includes: - Genuine OEM bulb for Sanyo PLC-XT35 Projector - High quality compatible housing Warranty The Sanyo PLC-XT35 projector replacement lamps are completely covered under our 90-day warranty, which protects against any defective products. We are committed to offering an easy and safe Projector Bulb buying experience that brings peace of mind to all our customers. Warranty does not cover: shipping costs, improper installation including damages incurred while attempting installation, any installation or labor costs, lamps damaged by TV/projector malfunction, damage due to abuse, lightning or acts of nature, misuse, electrical stress or power surges, loss of use, lost profits.